Interior stylists are experts at helping spaces look their absolute best. 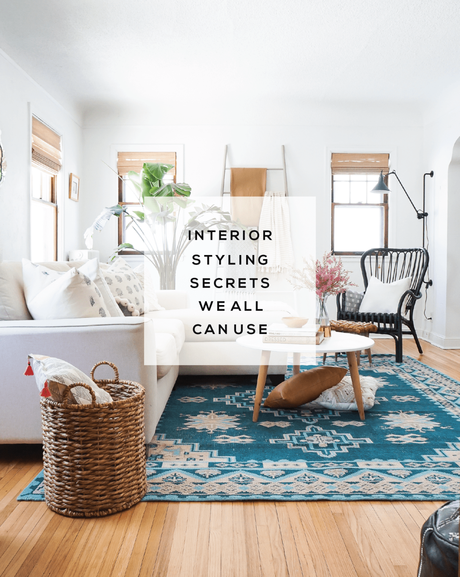 My BEST six interior styling secrets are yours for the stealing in this post! Ever wonder what tricks stylists have in their arsenal to get interior spaces ready for their close-ups? After years of styling interiors both my own and clients, I've picked up some fantastic tricks or what I refer to as 'remedies' out of necessity along the way. 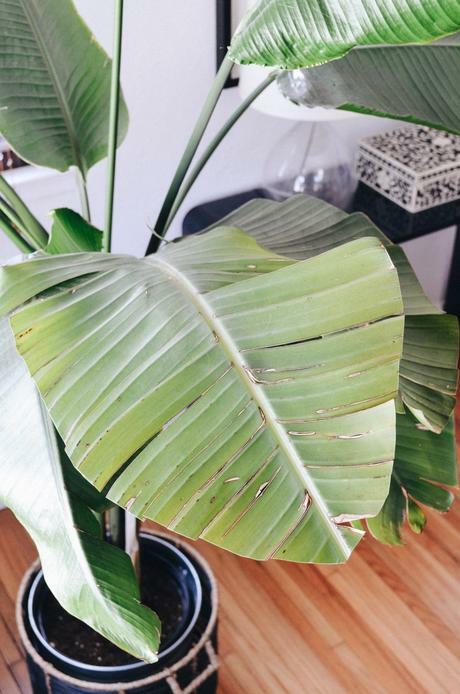 Recently, I've been fielding questions on Instagram about what I use to clean our stainless appliances, how I get our living room plant to stand up so straight, etc. 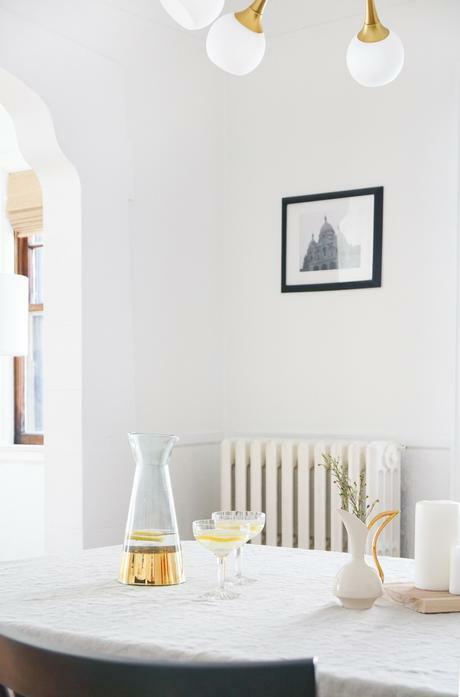 and it dawned on me that these styling tricks are ones we all can use in our homes. So without further ado, let's get to the good stuff! If there's one thing I use almost daily for blog and styling shoots, it's damage-free hooks and adhesive strips. From gallery walls to garlands, these babies are the best. For pictures, like the black and white framed picture above, I use Command adhesive strips. I stock up on the 16 lb heavy duty strips when they go on sale and use them for all sizes of pictures. The absolute best part is, they come down super easily without damaging walls, doors, millwork, etc. 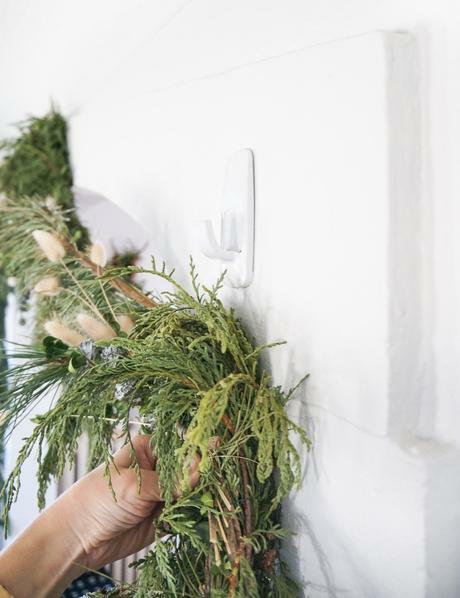 For hanging garlands, I use the 7.5 lb 3M Command hooks, and they've never failed me! Streaky stainless steel is an arch nemesis of mine, and until I found powered limestone cleaners like Bon Ami or Bar Keeper's Friend, I was pulling my freaking hair out trying to get my appliances not to look messy all the time. I've cleaned our dishwasher (above) with Bon Ami, and you can see I probably should have wiped the bottom portion down a little better before the water dried, but overall it looks pretty darn good! You basically, rub the powder on with a damp cloth and rinse with a clean wet cloth. Remember to wipe in the direction of the stainless steel "grain". You're welcome for this tip! I've been asked on Instagram how I get my Birds of Paradise Plant to: #1 Stand up so straight, and #2 Keep the leaves looking so healthy. Let me tell you, it's not because of my green thumb (or black thumb) for that matter. It's simply a matter of styling. Here I've wrapped floral wire around the stems to pull them together and help them stand up straighter. As far as the leaves, I actually cut off the dead edges, making sure I trim them into the shape of a slightly smaller leaf. This plant used to be outside on our old apartment balcony, and the wind knocked it over many a time, roughing up the leaves. 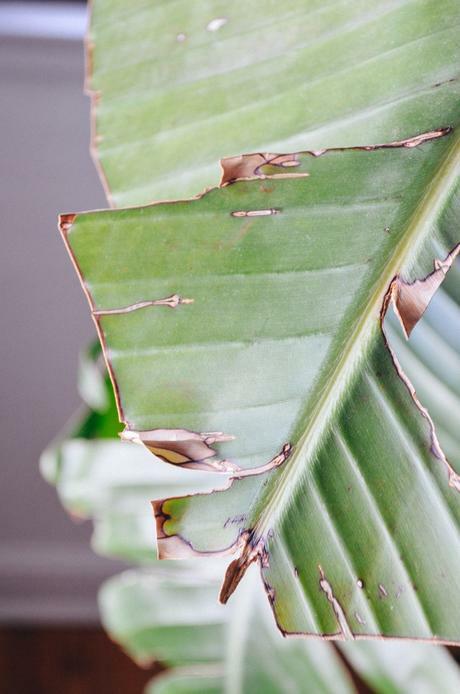 When Kelly Kegans and Adam Albright came to photograph my house for Do It Yourself Magazine, they had me trim off the dead parts of the leaves, and I think they came out pretty good! If you didn't learn about Wrinkle Releaser in college, then today is your lucky day! Just kidding-not really. lol. 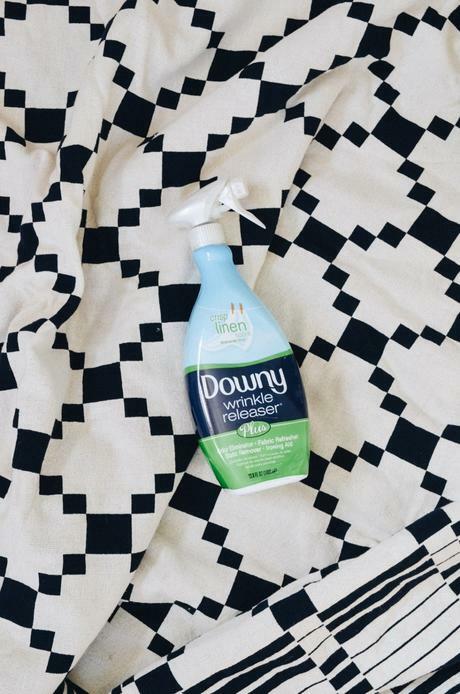 But Wrinkle Release does come in SUPER handy for relaxing fold lines and wrinkles in everything from drapery, pillow shams, throw pillows, blankets, etc. You just spray it on the fabric, pull the edges of the fabric taught, and then watch as it defuses the static electricity, and "releases the wrinkles." It works especially well for "lighter" wrinkles (not deep set creases). For deep set ones you'll probably need to saddle up with the ol' iron. 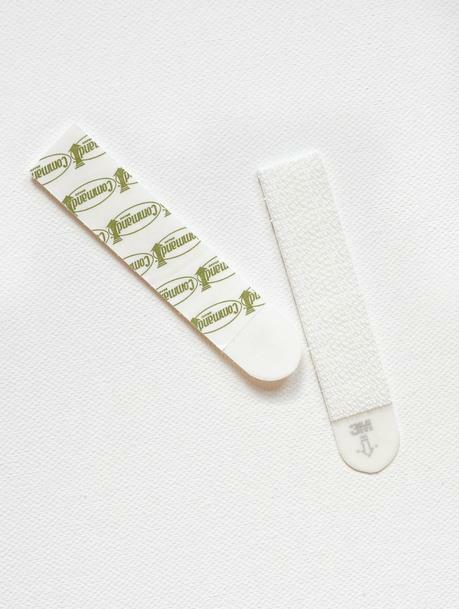 Hem tape is a non-sewer's best friend! It's fab for those in-a-pinch situations when you don't have access to a sewing machine or perhaps aren't sewing-inclined but need to shorten something up. 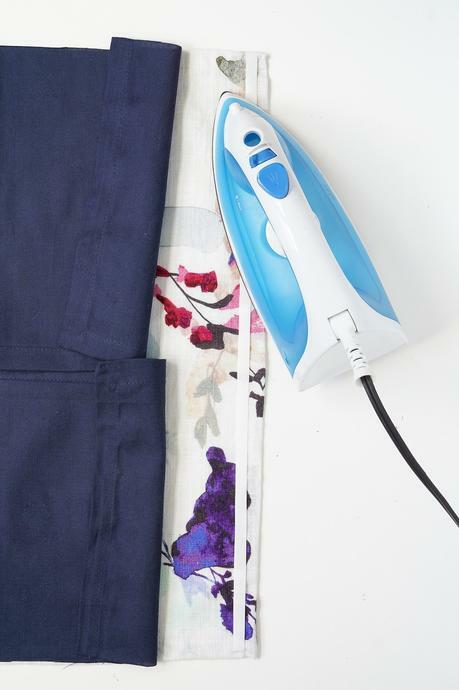 It's basically a fusible strip that adheres two layers of fabric together when activated with a warm iron. I used to hem all my drapery panels this way before I learned to sew. It's what I used for our bathroom cafe curtain, and you can also use the ultra hold hem tape for creating pillow covers too (as shown above)! I was forever converted to mixing faux and real greenery after creating this mantel garland for a friend. The faux/real concept actually came about by accident, when using ALL real greenery proved to be ridiculously expensive. I had some faux stems at home and decided to use those in addition to purchasing some real stems too. The end result was magic. The faux stems were wired, so they added incredible fullness, and the fresh stems were...well real and beautiful, not to mention super fragrant. I also used a mix of real and faux with this chandelier floral crown. The peonies were faux, and the greens were pretty long lasting so I was able to fabricate it the day before without sacrificing the fresh look. Now that I have some good faux stems on hand, I use them over and over and it keeps things affordable too. I mostly shop for faux stems at Michaels (they have great 50% off sales), Target Magnolia Home and Target's Wondershop around the holidays. There you have it! My 6 ride or die tips when styling for clients or for my own home. Do you have tips I haven't mentioned? Now that you know mine, I want to know yours. Leave 'em in the comments!